I took my wife to Les Amis restaurant to celebrate our 7th wedding anniversary. I have heard many good things about the food there since Chef Sebastian Lepinoy took over. The restaurant was almost full when we got there at 8pm on a Friday night. We were warmly welcomed in the chilly restaurant (temperature wise). Probably because it was raining outside and thankfully, upon request, the restaurant provides a thick scarf for ladies to cover themselves. We started our gastronomic journey with bread and a big selection of it. 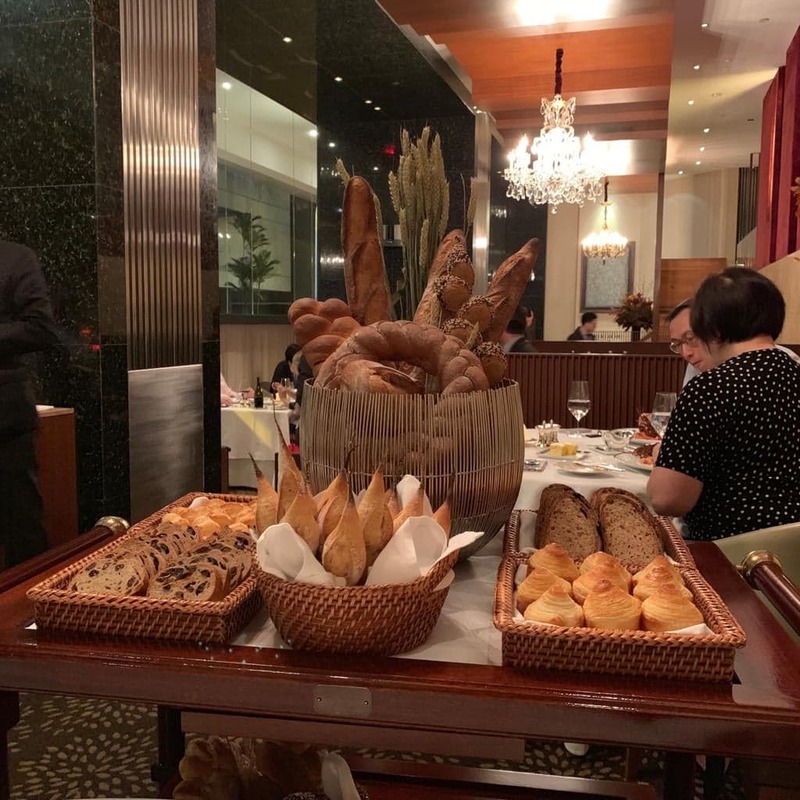 The bread trolley was wheeled over to us and there was nothing less than five types of bread to choose from. My favourite would have be the gougères that they served in a basket. The bread balls were bite size, light and airy topped with aged compete, yum. The breads were served with an unpasteurised butter from a farm in France that makes the butter for less than 20 restaurants worldwide. Dark yellow, creamy and rich in flavour, it was an excellent accompaniment for the bread. 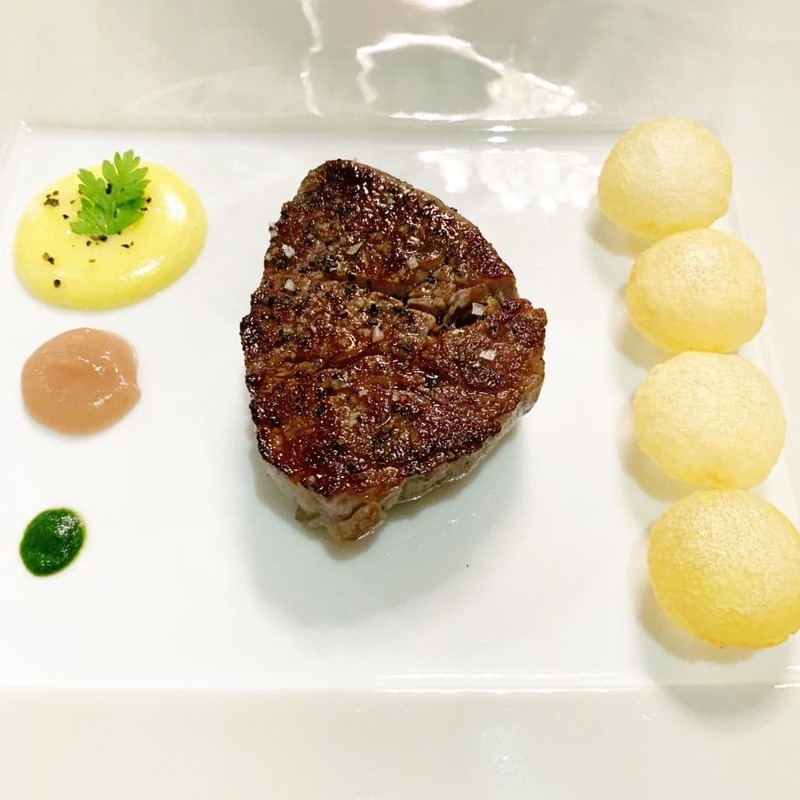 After some delicious Amuse bouche, we were served cavier with roseval potatoes that were cut into small round discs surrounding a generous serving of cavier. A small mouthful of cavier with the perfectly cooked potatoes were a great match with the little briny explosions balanced with the earthiness and starchiness of the potatoes. 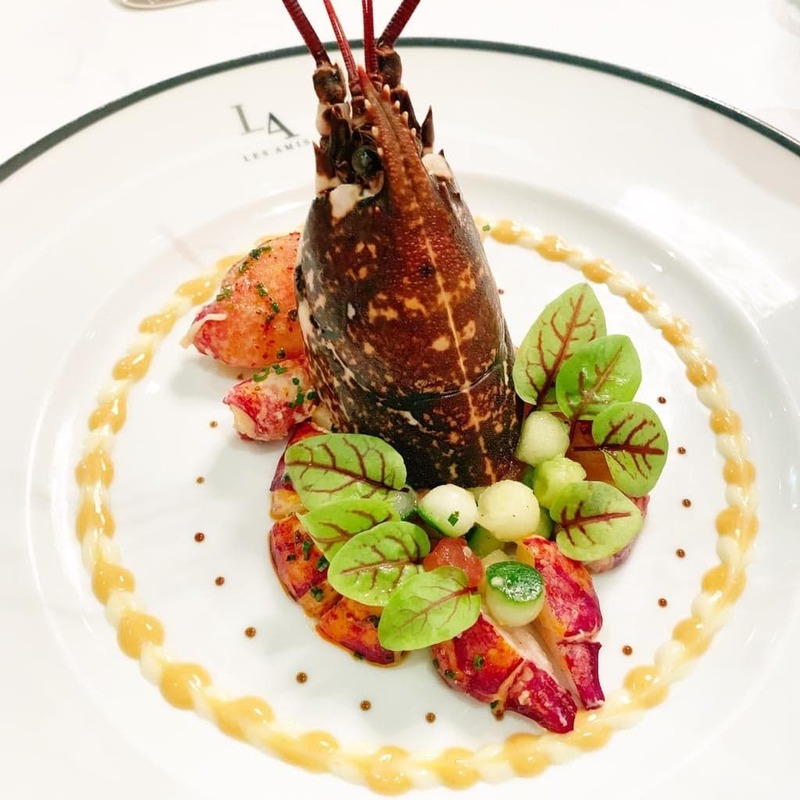 The blue lobster from Normandy was a generous whole lobster served with pearls of crunchy vegetables and surrounded by a cocktail sauce. The lobster was not overly seasoned which was good for me to enjoy the natural sweetness of the firm and succulent meat. 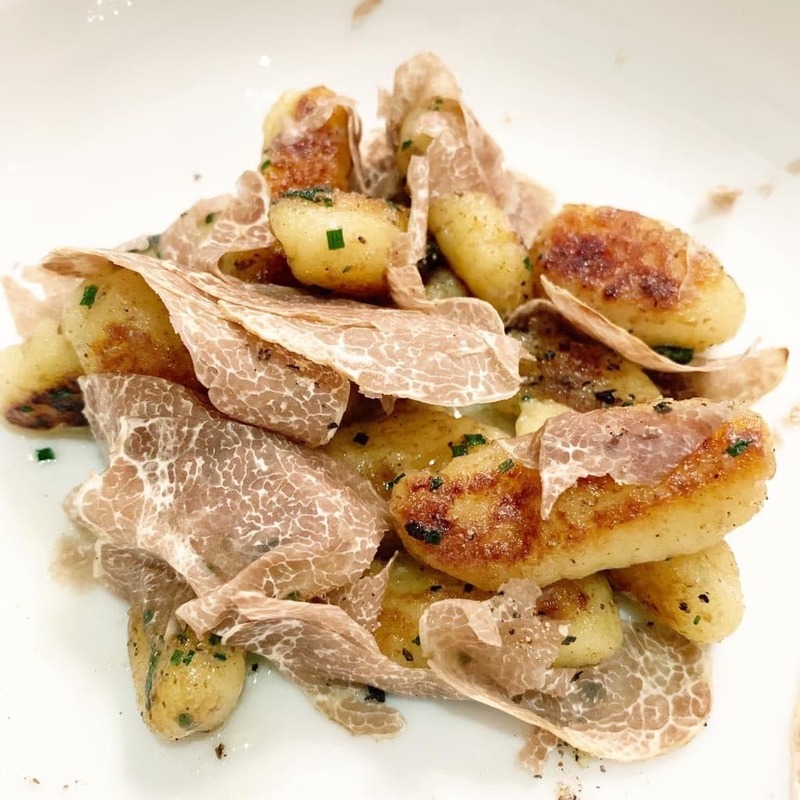 Thankfully we were at the tail end of the white truffle season and I could enjoy Chef Sebastian’s home-made potato gnocchi with white truffle. The dish sounds so simple but I was in heaven from the first bite. The pillowy dumplings had a good ‘al dente’ chewiness and was pan-fried with a nice crust on the outside with generous amount of butter. The gnocchi, butter and white truffle in one bite is a match made in heaven. I will never look at the humble gnocchi the same again after this dish. The omi wagyu fillet steak to end the main meal was excellent. The melt in your mouth but not overly fatty meat was paired with Chef Sebastian’s interpretation of the classic Béarnaise sauce. It was served with pomme soufflé, a further lightness to an otherwise filling meal. Apart from the desserts, the cheese trolley at the end was a nice end to a beautiful meal. 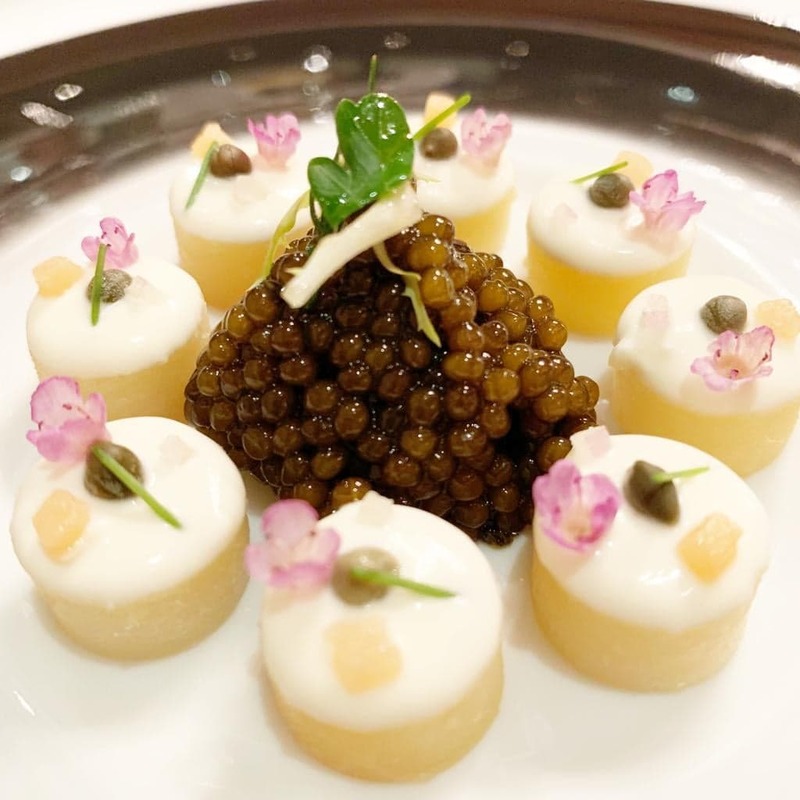 Les Amis restaurant is one of the pioneers of fine dining in Singapore. It has managed to survive over the years despite the influx of fine dining restaurants. After the meal, I don’t think it has just managed to survive but in fact it has flourished especially under the stewardship of Chef Sebastian and team. It is totally well deserving of their two Michelin stars and definitely worth a visit for a special occasion.